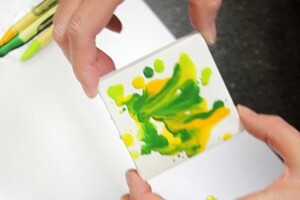 We love crafts year around here, I have seen the small canvases and wondered what I could do to make them marvelous! Thanks for all of the ideas! 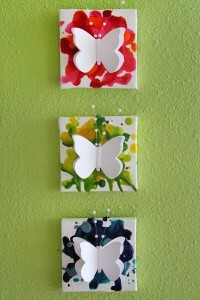 This looks like a fabulous project, and I can see variations..like ladybugs, etc. 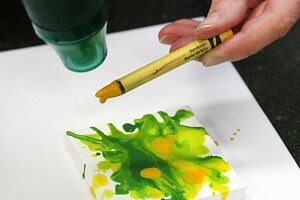 I like getting ideas and learning how to use some of the new crafting supplies, and am anxious to try some soon! This craft is so beautiful. I will be making this with my 5yo son for my 6mo daughter to put up above her crib. I usually only do yarncrafting but I’m gonna start venturing out because of your blog. Thank you so much for all your hard work into putting all this together for all of us. I’ve really enjoyed seeing the variety of projects! 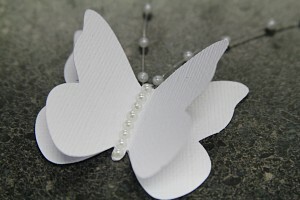 I’m mostly doing papercrafting right now, but I definitely saw some things I’m interested in pursuing. Thanks for broadening my horizons a bit! I have totally enjoyed craft month, and your posts. I can’t believe it’s over already! I must try playing with crayons and some new beading techniques now. What a wonderful idea! All your projects have been so inspiring 🙂 As for my newest craft this month….crochet button flowers! I have really enjoyed all of the projects you’ve been featuring. 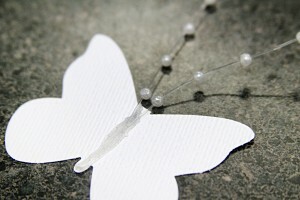 I am going to try this butterfly project for sure. My daughter has asked me to make something for my granddaughter’s room and this is it! Thank you Fave Crafts. I’ve enjoyed craft month and all the ideas that have floated around. Too bad we can’t do it year around. I love seeing new projects to get me thinking & there’s been a lot of great ones & a lot of good tips. I have enjoyed reading each project everyday and have learned something from all of them. I am lucky enough to be a winner so thank you for that. What an awesome month of projects! 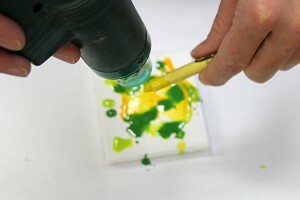 I want to try this technique with ATCs also! I have saved at least 10 new projects this month – maybe 15 :D. I can’t wait to try them. Of course the knitting ones wil have to wait until I actually learn to knit – lol! It will happen!! Thanks so much for all the great projects/techniques/ideas! 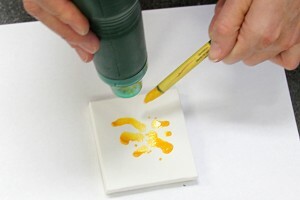 Wish I had a heat gun…would be fun craft for grandsons this summer. 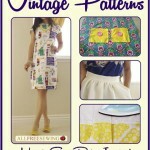 I’ve visited everyday and saved pretty much all the pattern instructions for almost everything offered this month. I hope to be able to make them all eventually because they all look so nice, but this project offered today is probably the 1st one I’ll be able to do since I already have all the materials required for it. The next one I’d like to try is the etched Lovely Leaves Vase. 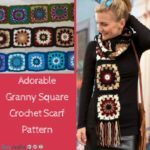 Crochet & Knit projects are for autumn and winter, not this time of year. I like trying new projects. 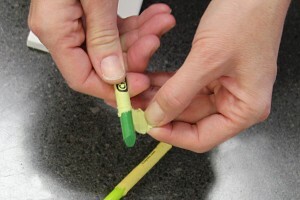 Very neat project to use with younger ones. Spring break fun! 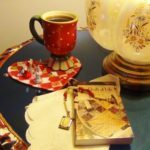 This is the first blog that I’ve seen in the series, but I love this idea and plan to do something similar, maybe with hearts. 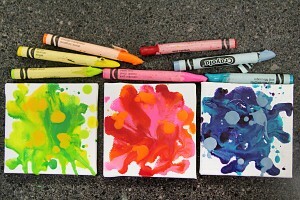 I just love the dripped crayon! I LOVE craft month! So many projects…so little time! So many crafts! So little time!! Going to have to try a new one each month then practice!! I enjoyed seeing all the new projects every day. I have really enjoyed the variety of crafts you have shared. I did find several items I want to try and few that are out of reach for me to do. Hopefully, I can find a crafts show with some talented people. I have seen so many new ideas! I want to try them all! So many projects so little time! I have loved all the ideas and have benefited from all the tips, really enjoyed following you and have lots of things to do now from your ideas. I have enjoyed all of the inspiration I got from the project of the day everyday. I have created this month and I have tried a few new techniques Ive learned here and it has made my projects so much better…Thanks for all the inspiration. Found you on pinterest today, with this project, so I am a first time visitor. Haven’t seen your other posts-but this one is inspiration enough. Love it. Thanks for the chance to win. Wow..this is so great. Yes, I have learned some new tricks. I can’t wait to try out. Thank you so much for a fun and inspirational filled month. Mostly enjoyed seeing the different crafts and types of things being done today. 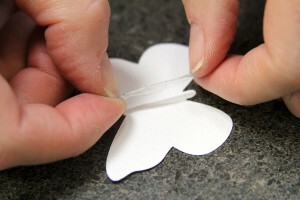 Saw several craft tips (cannot specifically recall what they were, but I did copy them for later use). 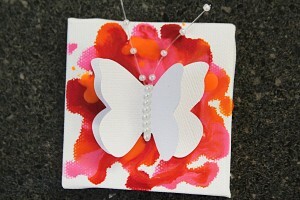 Really like today’s MiniButterfly Crayon Canvases and hope to make some – can also see putting them on a magnet for a refrigerator decoration. Can’t wait to try this project! It looks like so much fun! 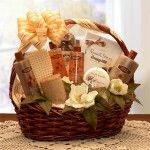 Thanks for the opportunity to win such a great prize pack too! Love this project! I think I’ll do this one with my girls for Easter. It looks simple enough for my 3 year old to join in. She’ll love it! loving all the great ideas this month! 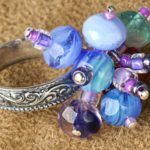 this is a super cool project-my favorite one that has been shared-definitely going to have to try this one! 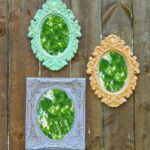 I have enjoyed learning new scrapbooking techniques and I have discovered neat blogs and sites like yours!! I didn’t create anything knew, but I learned tips and added quite a few to my “wanna try” list! Spring and Easter …my favorite time of year. 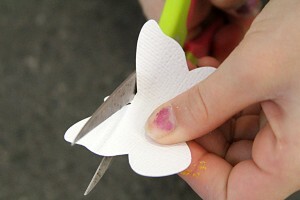 I’ve enjoyed all the Spring crafts. I did not had time to craft for years, in fact I gave all my craft stuff to a disabled woman so she would have something to occupy her time. Now I have the time to craft and have been learning new things and rebuilding my stash. I really like recycled crafts. It has cut down on what goes in my trash can! I get such a kick out of seeing people’s creativity. It make me more creative. I’ve been working on scrapbooklayouts this month. 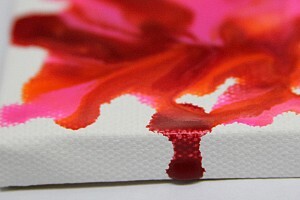 I have apsolutly enjoyed National craft Month, and it saddens me that it’s coming to an end! 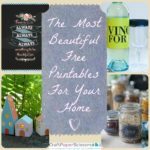 Even if I haven’t won anything, I sure have found a lot of great DIY projects to fill up my days with & have something for my Grand Children to do when they come to visit! 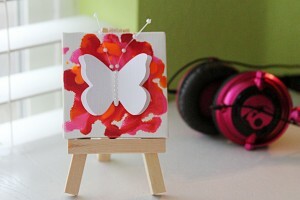 Love the Mini Butterfly Canvases! 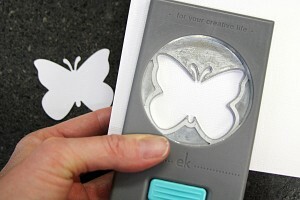 An excellant project for Mothers Day gifts! I love this project! 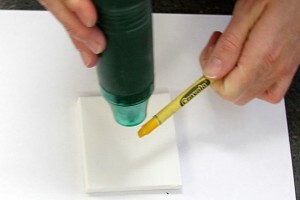 I have learned several new crafts, and intend to do this one for Christmas presents! I will be sorry that National Craft Month is over! I look forward to it again next year! 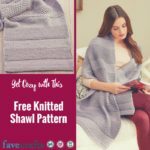 I had big fun with FaveCrafts and National Craft Month giveaways and projects. I loved each and every project and I ended up making the tie dyed bunny pillow’s for my nieces for Easter. Thanks for all the ideas and fun! This was my first day to find out about this craft month. 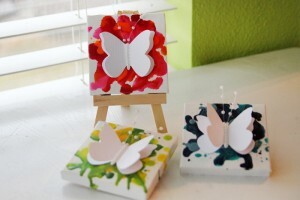 I like the project Mini Butterfly Crayon Canvas and I plan on trying this. It will make some great gifts to give away. I have to be honest-the giveaways! 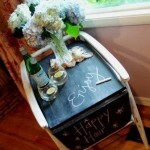 I loved seeing new ideas and tips but the chance to win great stuff tops it all! This looks like a fabulous project. I can imagine having fun with this one. I’m so sad it’s almost over, I have been so inspired all month!